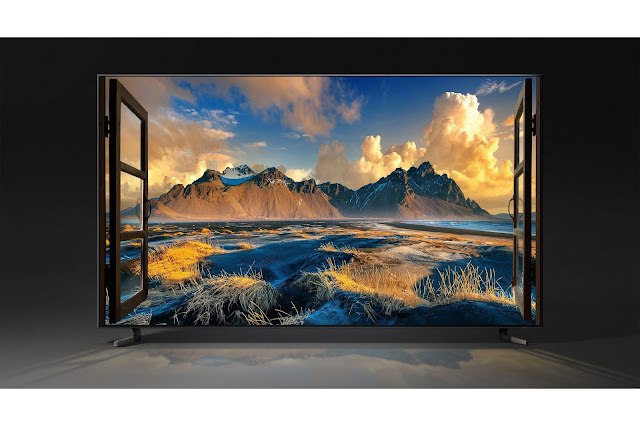 8K TVs - Bigger is better! Chris Dawes, product manager of TVs at Box gives his expert insight into new technology. A recent survey revealed that the average Briton spends almost 10 years of their life watching TV - that's a lot of Netflix! So, it's no wonder that companies like Samsung are constantly investing to innovate the newest visual technology and stay ahead of the curve - quite literally. The importance of the home cinema has increased in recent years with many of us choosing to relax in the comfort of our own homes whilst watching the big screen, rather than venturing out to an actual cinema. TVs aren't just getting bigger though, the quality of the picture is improving too. The higher the number of pixels, the higher the capability of the TV to produce a clearer picture. So, a 1080p HD (High Definition) TV is made up of 2,073,600 tiny pixels which for a long time was the highest quality TV on the market, until 2013 when 4K UHD (Ultra High Definition) came along, which boasts 8,294,400 pixels. So, what next? The answer - 8K TVs. An 8K TV will have a resolution of 7,680x4,320 - double that of a 4K TV. A total of 33,177,600 pixels will produce images with unrivalled clarity, with 8K AI upscaling even set to further improve the picture quality of lower resolution content! Samsung has announced its first 8K TV to hit the market and is expected to be released in October. The Samsung Q900R QLED 8K TV will come in three sizes - 65, 75 and 85 inch screens. With features that take full advantage of the Quantum Processor 8K, such as its gaming mode that switches screen calibration seamlessly, or the ability to upscale 720p, 1080p and 4K content look even better than before, it's easy to see why the trend for TV buyers is leaning towards bigger, more powerful screens. As seen at the IFA Tech Show in Berlin earlier this year, QLED 8K is the future of TV and with the 2020 Olympics set to be captured in 8K, we expect more global events and content providers to swiftly follow suit.